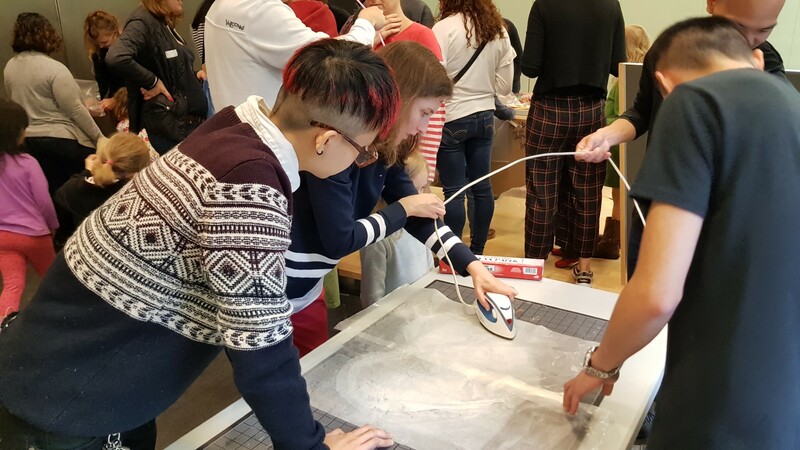 My time at Cooper Hewitt Smithsonian Design Museum has been a very hands-on experience, participating with the free education programs team. The workshops offered at Cooper Hewitt are designed for three levels of design expertise. I have joined and helped run sessions at the introductory level and at the immersion level. The workshops have focused on the design thinking and, in particular, defining the problem, brainstorming ideas and afterwards prototyping ideas. The average year level range of those participating has been Year 10 to university students. The workshops are informative and very practical in nature; and some take advantage of the museum’s collections, inspiring participants with their ideas. Workshops tend to have around ten to over 20 participants. The general consensus from participants is overwhelmingly a sense of accomplishment at what they were able to do, when given a design challenge. The resources needed to conduct these workshops are simple in nature but what the participants do with basic craft material and tape/glue is inspirational. Workshops can also feature a guest local designer who volunteers their time to lead participants through their own subset of design thinking to create prototypes. 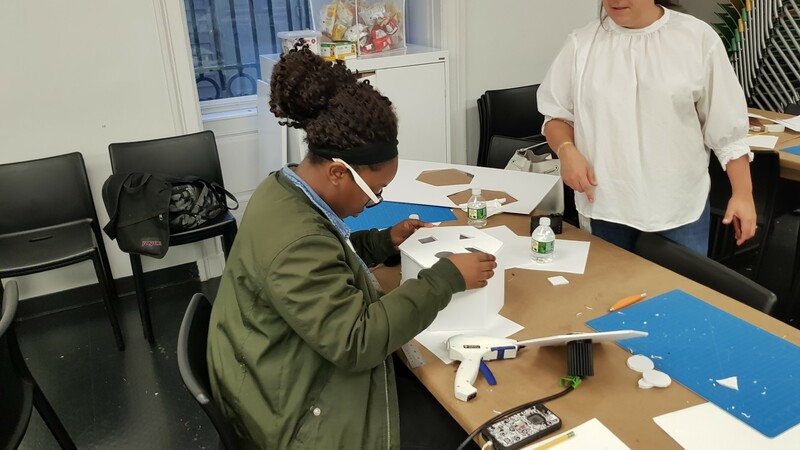 One such workshop involved a lighting designer; he had a small group of high school age students designing light fixtures using an LED unit and lots of cardboard and foam-board. The end result after two hours of design thinking was some innovative children’s and hanging lamp designs. I have already started planning for a Queensland version of the workshops. My goal is to have a robust set of workshops that can cater for the many areas where design thinking is used. I will be writing these workshops for any educator to use with a group of interested students. With the introduction of Design as a subject in 2019, I am confident that workshops for educators and students would be a great way to help bridge the knowledge gap within the senior subject. I would also like to plan for designers to lead short workshops in the future as well. I will be collaborating with the dynamic and talented education unit at the Cooper-Hewitt to help refine and inform my workshops that I can deliver back home. With the full schedule of after-hours workshops and public events I will be attending while working at the Cooper-Hewitt, it will give me plenty of ideas for what I would like to see happen in Queensland.